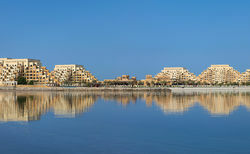 Only 15 minutes from Ras Al Khaimah International Airport and 45 minutes from Dubai International Airport, Al Marjan Island comprises four islands – Breeze, Treasure, Dream and View. 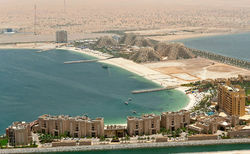 The entire development is served by a well-integrated road network that connects to all key cities of the UAE. 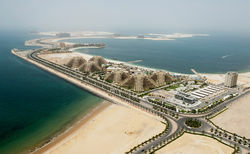 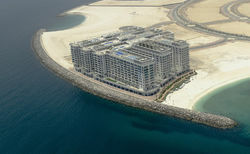 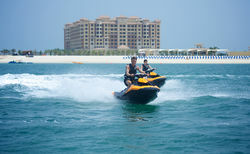 With 7.8 kilometers of pristine beaches, 23 kilometres of waterfront, 6,500 planned residential units, 8,000 planned hotel rooms, 400-room wellness retreats and 600 holiday villas, Al Marjan Island has an evolved hospitality sector already with Breeze Island being home to Rixos, Double Tree by Hilton and Bab Al Bahr – exceptional hotels – that offer the perfect harmony of luxury and nature.